Andrew Stancel has consulted for more than 13 years on executive and director pay issues, including program design and implementation, benchmarking, pay-for-performance linkages to corporate business performance, technical and regulatory issues, compensation committee governance and mandate, managing compensation related risk, proxy drafting and review, and severance and change-in-control design and advice. His clients include large and small companies in diverse industries including transportation, energy and utilities, telecommunications, oil & gas, storage & shipping, real estate, mining, and retailing. His client relationships primarily involve a direct reporting relationship to the Compensation Committee. 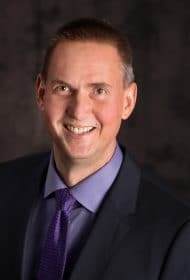 Andrew is the author of articles for the Canadian Tax Journal and Taxation of Executive Compensation & Retirement Journal covering topics such as executive compensation disclosure, Compensation Committee governance, tax-effective risk-adjusted incentive arrangements, and personal tax planning. He is a member of the Institute of Corporate Directors (ICD) Ontario West GTA Chapter Executive Committee. Andrew began his career at Price Waterhouse and then worked for several years as a human capital performance and reward consultant at Ernst & Young. Prior to joining Meridian, Andrew spent 5 years with Hewitt Associates in its executive compensation practice.